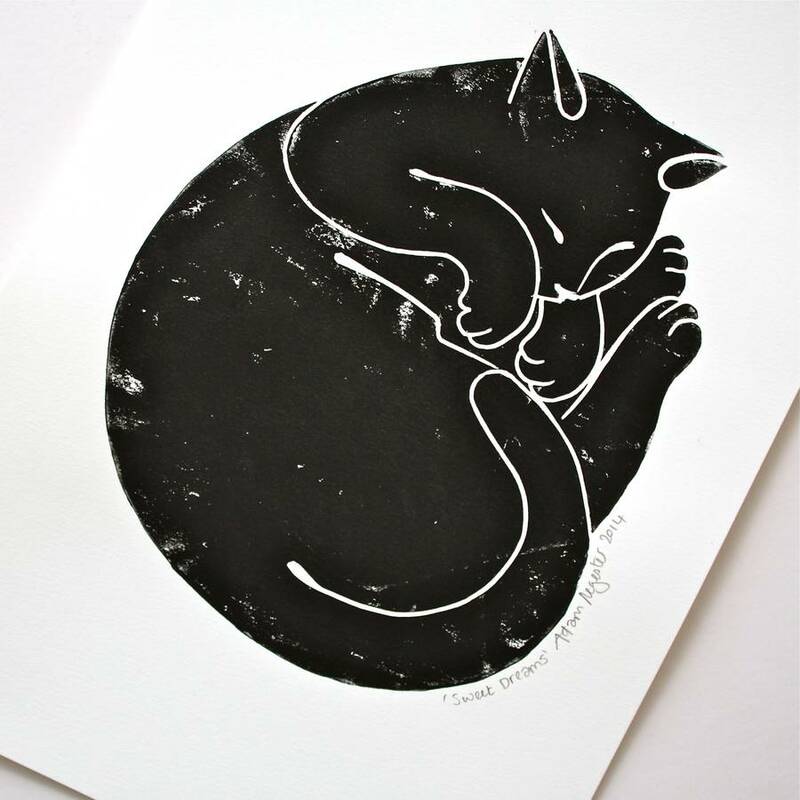 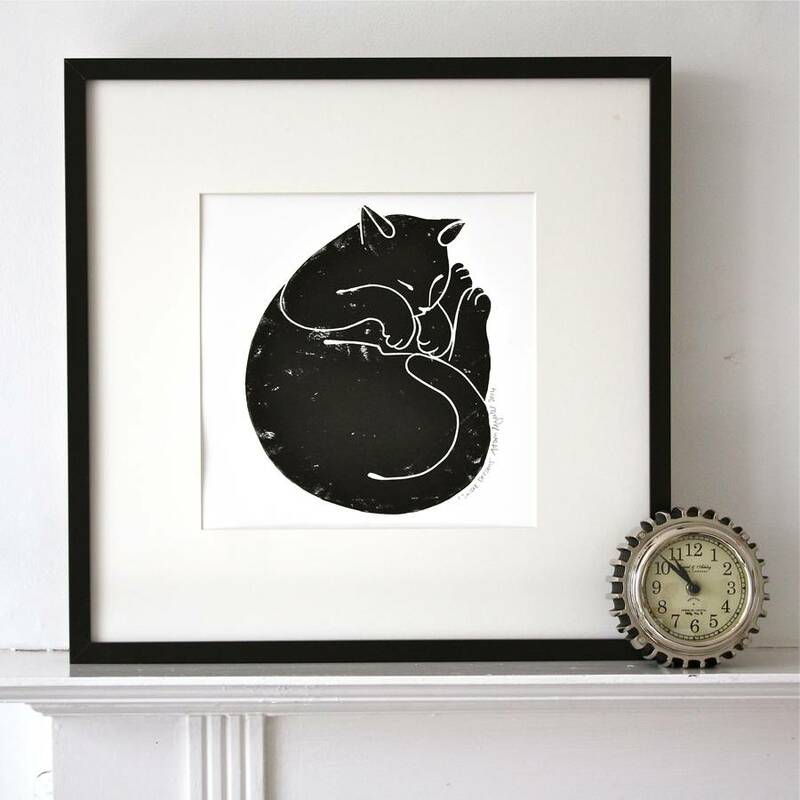 An original print of a sleeping cat called 'Sweet Dreams'. 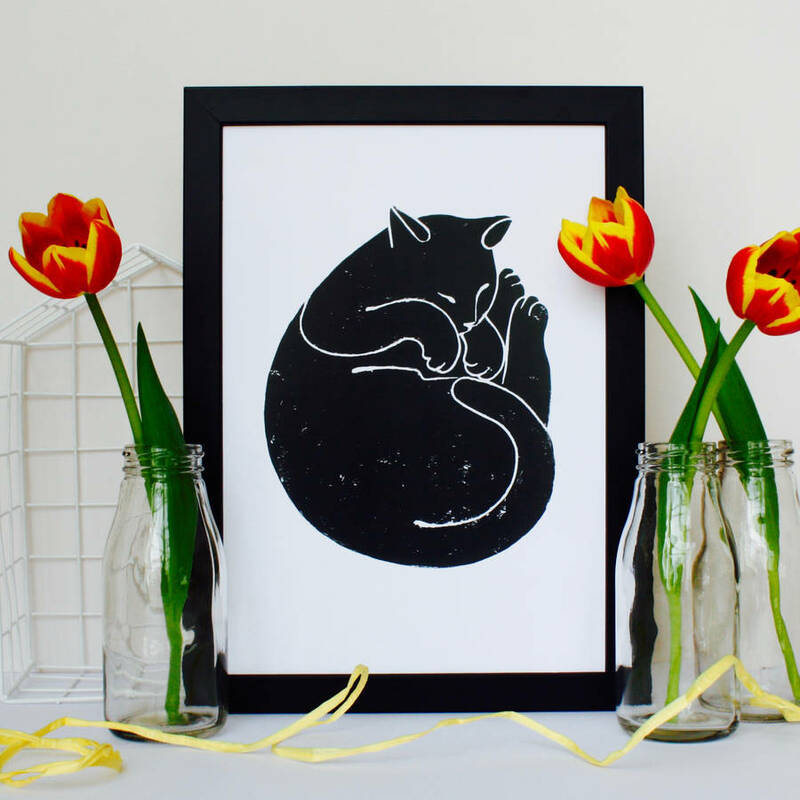 This lovely cat print design has been taken from an original linocut print created in our studio. 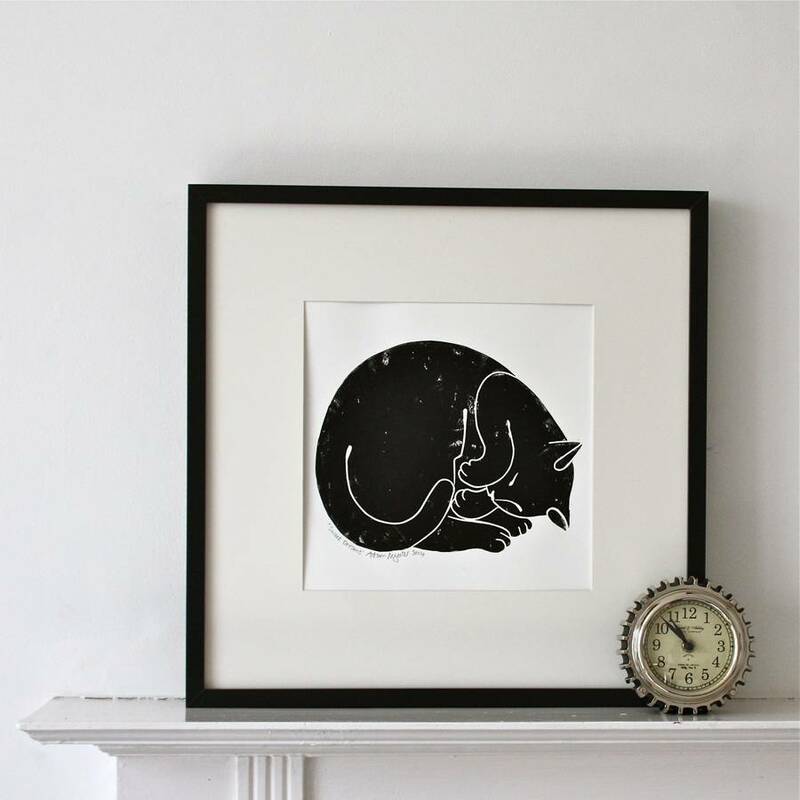 It is presented on a backing board and is packaged in a protective poly sleeve and shipped in cardboard envelope so that it arrives to you in perfect condition.